I think I set a record — reviewing multiple books where I’ve already read the previous ones in the series! Amazing. Shelley Shepard Gray’s Amish of Hart County books may belong to the same series, but truly do act as standalone books. The occasional name or character show up in subsequent books – but very few, if any, spoilers appear! I appreciate that, even having read the previous books. 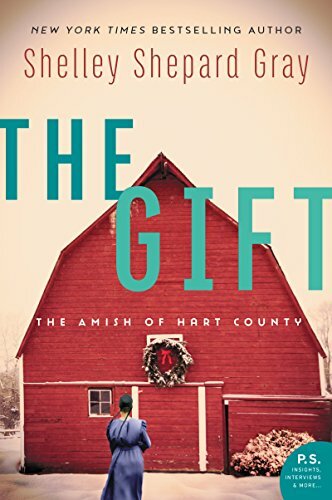 The Gift may be my favorite book in the Hart County series to date. Festive, and therefore perfect to read right now, it sets the mood for Christmas – with a bit of mystery, too. The book truly kept me guessing till the end. I wanted a few more clues earlier in the book as to the suspect’s identity and motives, but ah well. It still worked! A gripping read that sheds fascinating insight into Amish life – especially when a mystery pops up in the community! I received a free copy of The Gift from Litfuse. All opinions are my own.